With Charlene Super Model styling head (27cm) you can turn every styling idea into reality. 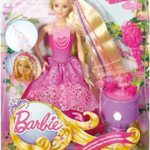 Barbie delivers a new twist on hair! 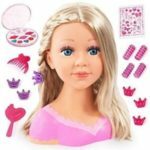 With extra long locks — 9 inches of hair — and an easy-to-use tool to twist and style with ease, Barbie doll is ready for a new fabulous look created by you! 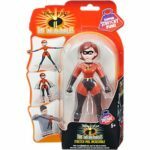 From the hit movie Incredibles 2 its Elastigirl!